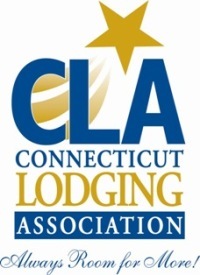 CLA Priorities - Update on urgent legislative issues. Your testimony and voice on why this 2% increase is damaging to the lodging industry is crucial. Contact your local representatives and tell them why this increase is destructive to your business and the tourism industry. CLICK HERE for information and talking points about CT occupancy taxes. 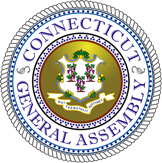 The bill passed the Labor Committee and is now in review of the CT Senate and House. Several versions are in discussion which include the increase to begin in 2020, or using an incremental increase by either 2022 or 2023. The bill passed the Labor Committee and now is in review of the CT Senate and House. Each employee would receive up to 12 weeks, every two years for medical leave. Requires to pay full pay up to $1000 a week, per employee. Would begin in 2021, funding payments start in 2020. There is no seed capital for the fund. Deducts 0.5 percent of pay from every working person’s paycheck. Any business with 1 or more employees would be required to pay in. The bill passed the Labor Committee and now is in review of the CT Senate and House. Employers would have to provide written schedules for hourly employees two weeks at a time. Employers shall pay an employee one-half of the employee's regular rate for any scheduled work hours the employee does not work due to the employer cancelling or reducing the employee's scheduled work hours. See below for status on bills, CLA Testimony, and how you can take action. S.B. No. 877 - AN ACT CONCERNING REVENUE ITEMS TO IMPLEMENT THE GOVERNOR'S BUDGET. Increases Occupancy tax to 17%, B&B tax to 13%, and adds Campground tax at 6.35%. 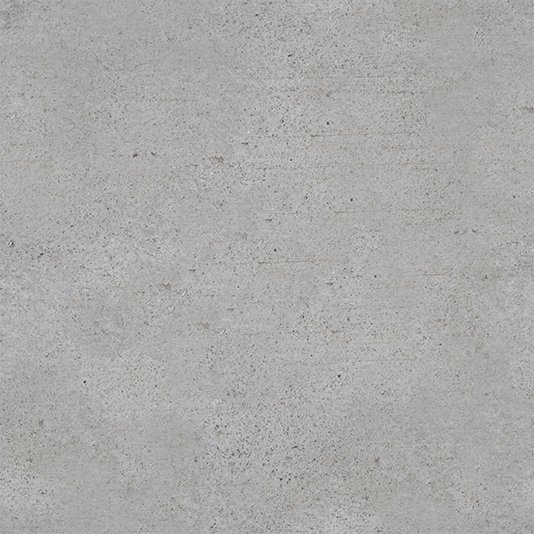 Public Hearing was 3/15/19. CLA sent opposing testimony, HERE, and submitted occupancy tax flyer. H.B. 6360 - AN ACT ESTABLISHING AN ANNUAL TOURISM INCENTIVE GRANT. An act establishing an annual tourism incentive grant in which each municipality would receive 50% of the increase generated buy local hotels out of the occupancy tax. Referred to Committee on Commerce, Pubic Hearing was 2/15/19. CLA sent opposing testimony, HERE. S.B. 2 ; H.B. 5004 - AN ACT INCREASING THE MINIMUM FAIR WAGE. Both passed Committee on Labor and Public Employees - 3/14/19. CLA sent opposing testimony, HERE. ﻿S.B. 881 - AN ACT ESTABLISHING A PAID FAMILY AND MEDICAL LEAVE PROGRAM. Passed Committee on Labor and Public Employees - 3/21/19. H.B. 6924 - AN ACT LIMITING "ON-CALL" SHIFT SCHEDULING. Drafted by Committee, Passed Committee on Labor and Public Employees - 3/15/19. S.B. 64 - AN ACT CONCERNING CAPTIVE AUDIENCE MEETINGS. To prohibit an employer from coercing employees into attending or participating in meetings sponsored by the employer concerning the employer's views on political or religious matters. Passed Committee on Labor and Public Employees - 3/15/19. H.B. 7306 - AN ACT CONCERNING RECOMMENDATIONS FROM THE SPEAKER OF THE HOUSE OF REPRESENTATIVE'S BLUE RIBBON COMMISSION ON TOURISM. Passed out of Commerce 3/19/19 and would require DECD to open visitor welcome centers. Also create a CT Tourism Council. See CLA's testimony HERE. H.B. 7307 - AN ACT REQUIRING A STUDY ON TOURISM BY THE GENERAL ASSEMBLY. Passed out of Commerce 3/19/19. See CLA's testimony HERE. H.B. 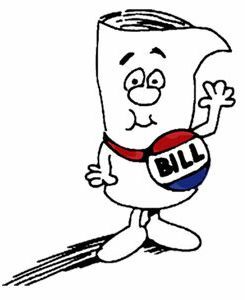 7148 - AN ACT CONCERNING THE STATE BUDGET FOR THE BIENNIUM ENDING JUNE THIRTIETH, 2021, AND MAKING APPROPRIATIONS THEREFOR. To implement the Governor's budget recommendations. Includes Tourism Fund allocating only $4.3 million to statewide marketing. Referred to Joint Committee on Appropriations. Public Hearing was 2/27/19. CLA sent opposing testimony, HERE. ﻿S.B. 192 - AN ACT CONCERNING THE REOPENING OF CONNECTICUT'S VISITOR WELCOME CENTERS USING VOLUNTEER STAFFING. Passed out of Commerce 3/19/19. H.B. 6937 - AN ACT REGULATING SHORT-TERM RENTALS. To create specific standards and liability insurance requirements for short-term housing rentals. Public hearing was on 3/6/19 with the Committee on Planning and Development. See CLA's testimony HERE. ﻿S.B. 259 - AN ACT CONCERNING THE IMPOSITION OF SALES AND USE TAXES ON PEER-TO-PEER HOSPITALITY SERVICES AND PROPERTY RENTALS. To establish parity in sales and use taxes on short term rentals. Referred to Joint Committee on Finances, Revenue and Bonding Committee. Public Hearing was 2/13/19. See CLA's testimony HERE. We suggest talking to your local Representatives and State Senators now. Invite them to your property, give them a house tour and have them meet your employees. It may take effort to find time on their schedule, but it can make a difference. See below on how to find your local Representative and State Senator. Do not hesitate to reach out to CLA. We are here to help membership be heard and make a difference! The Connecticut Restaurant Association is calling all restaurant owners, operators and managers to attend one of our Regional Legislative Roundtables to discuss issues that will impact your business. Topics include $15 Minimum Wage, Tip-Credit, Paid Family Leave, On-Call Scheduling, Soda Tax and more. ​Each event is FREE for all CRA members and non-members.